After planning and talking about building a Tuscan farmhouse for years, it is finally becoming a reality! 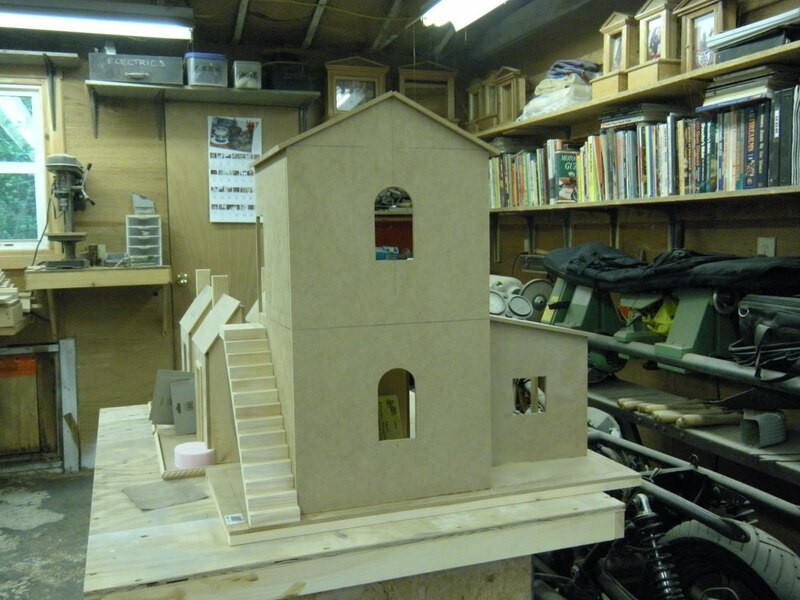 Of course, in order for that to happen I had to relinquish the thought of building it myself! I've asked SMRD Studio to create the Italian home of my dreams after seeing her work at the Chicago Independent Show in April. MR specializes in just the type of structure I'm seeking. I sent her photos of a bed and breakfast that I stayed in while visiting Greve in Chianti and asked her to use them as inspiration for my 3-room house. MR said that the structure should be finished by the end of the month. I can't wait! I wish I had a workshop like this! 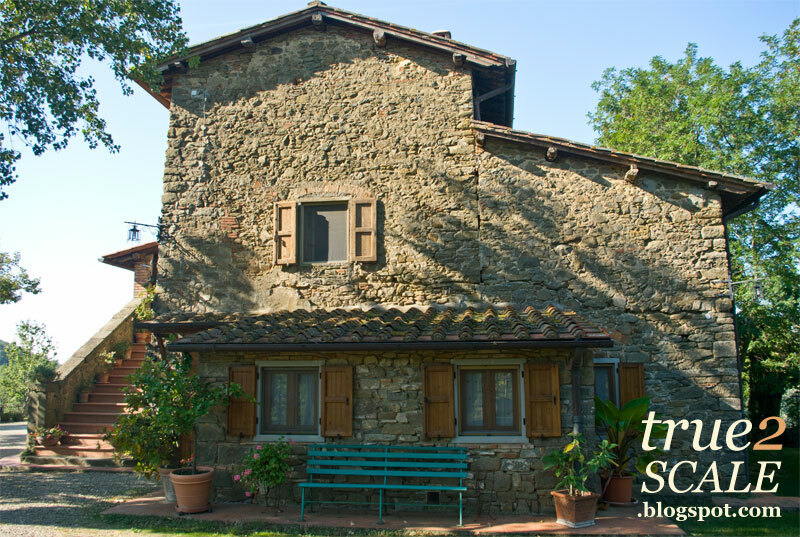 Le Cetinelle, the inspiration for the miniature Tuscan farmhouse. It is going to be wonerful. I bet you are excited! :-) I can't wait to see more. Te está quedando fantástica. ¡Enhorabuena! Wow that is going to be a beautiful house! Oh! Carol I am so happy to see it! I wish you to end soon, your beautiful home! I imagine how many good things already, will be in it! especially the meats hanging from the ceiling of the cellar! ha ha! I love the rustic houses in Tuscany, is my favorite style! You are going to have an incredible time fixing this up!! I look forward to seeing the progress!! I love the looks of the B&B you stayed at! Wow Carol!It looks great...like a our tuscany home! You live in USA and built an italian house,I live in Italy and built and country american house! Carol, I will follow the progress of this Tuscan house closely. I am sure it will be every bit as amazing as you dream it to be.